BYRNES, James Francis, a Representative and a Senator from South Carolina; born in Charleston, S.C., May 2, 1882; attended the public schools; official court reporter for the second circuit of South Carolina 1900-1908; editor of the Journal and Review, Aiken, S.C. 1903-1907; studied law; admitted to the bar in 1903 and commenced practice in Aiken, S.C.; solicitor for the second circuit of South Carolina 1908-1910; elected as a Democrat to the Sixty-second Congress, reelected to the six succeeding Congresses (March 4, 1911-March 3, 1925); was not a candidate for renomination in 1924, but was an unsuccessful candidate for United States Senator; resumed the practice of law in Spartanburg, S.C.; elected as a Democrat to the United States Senate on November 4, 1930; reelected in 1936 and served from March 4, 1931, until his resignation on July 8, 1941, having been appointed to the Supreme Court; chairman, Committee to Audit and Control the Contingent Expense (Seventy-third through Seventy-seventh Congresses); Associate Justice of the United States Supreme Court from July 1941 until his resignation on October 3, 1942, to head the wartime Office of Economic Stabilization until May 1943; director of the Office of War Mobilization, May 1943 until his resignation in April 1945; Secretary of State in the Cabinet of President Harry Truman 1945-1947; resumed the practice of law in Washington, D.C.; Governor of South Carolina 1951-1955; retired and resided in Columbia, S.C., where he died April 9, 1972; interment in Trinity Episcopal Cathedral Cemetery. Papers: 1930-1968. 115 feet and 32 volumes. Chiefly personal correspondence, and 32 scrapbooks of news clippings, 12 phonodiscs and tape recordings of speeches, manuscript of Speaking Frankly (1947) and All in One Lifetime (1958), video tapes, films, photographs, a bust, and memorabilia. Includes material on foreign policy and economic aspects of World War II. Finding aid. Additional Papers: Correspondence in Benjamin R. Tillman papers, 1767-1950 (bulk 1890-1918); Benjamin Franklin Robertson papers, 1924-1975; and Frank J. Jervey papers, 1925-1981 (bulk 1951 1979). Oral History: Discussed in interviews with William Benton, Chester Bowles, William L. Clayton, William Davis, and Marvin Jones. Papers: In Charles C. Wyche collection. Papers: Correspondence in Frank McCarthy papers, 1941-1949. Finding aid. Papers: In Felix Frankfurter papers, 1900-1965 (bulk 1939-1962), on microfilm, access restricted; and in Charles Culp Burlingham papers, 1876-1960 (bulk 1920-1958). Papers: Correspondence in Westbrook Pegler papers, 1908-1969. Finding aid. Papers: Correspondence in Burton Yost Berry papers, 1925-1971. Oral History: 1965. 9 pages. Papers: Correspondence in Samuel Irving Rosenman papers, 1928-1972; Henry Agard Wallace papers, 1941-1945; Harry Lloyd Hopkins papers, 1928-1946, microfilm, in part; and David Gray papers, 1855-1962. Papers: 1951-1955. 19 feet. Gubernatorial papers and photograph. Papers: In Elizabeth O'Neill Verner papers, 1904-1979; John P. Grace papers, 1916-1940; Thomas R. Waring papers, ca. 1950-ca. 1977; and Robert Latham papers, 1898-1970. Papers: In Paul A. Shrinkman papers, 1924-1969; Charles E. Broughton papers, 1916-1953 (located at University of Wisconsin-Milwaukee Area Research Center); and Hilmar Robert Baukhage papers, 1906-1962. Papers: Correspondence in the Arthur Hendrick Vandenberg papers, 1884-1974; Frank Murphy papers, 1908-1949; Blair Moody papers, 1928-1954; and Jay G. Hayden scrapbooks, 1916-1965. Finding aid. Papers: 1924-1949, 1961, 1972, 1978. 28 items. Includes political correspondence and a political broadside (1924). Additional Papers: Correspondence in Lander family papers, 1808-1962; William Wightman Smoak papers, 1895-1982; William E. Gonzales papers, 1922-1937; Louise Jones DuBose papers, 1918-1975; John Austin Latimer papers, 1913-1973; David Wallace Robinson papers, 1933-1935; and Henry Savage papers, 1927-1985 (bulk 1933-1971). Papers: In the Ogden Rogers Reid papers, 1925-1982; Arthur Bliss Lane papers, 1904-1957; and Herman Miles Somers papers,1936-1979. Research Libraries Information Network In addition to the institutions listed above, items are also cataloged in collections at: Hagley Museum and Library, Greenville, DE; Johns Hopkins University, Baltimore, MD; and Radcliffe College, Schlesinger Library, Cambridge, MA. Brown, Walter J. James F. Byrnes of South Carolina: A Remembrance. Macon, GA: Mercer University Press, 1991. Byrnes, James F. All in One Lifetime. New York: Harper Brothers, 1958. ___. Speaking Frankly. 1947. Reprint. Westport, CT: Greenwood Press, 1974. Moore, Winfred B., Jr. "James F. Byrnes: The Road to Politics, 1882-1910." South Carolina Historical Magazine 84 (April 1983): 72-88. ___. "New South Statesman: The Political Career of James Francis Byrnes, 1911-1941." Ph.D. dissertation, Duke University, 1976. ___. " 'Soul of the South': James F. Byrnes and the Racial Issue in American Politics, 1911-1941." Proceedings of the South Carolina Historical Association (1978): 42-52. Morgan, Thomas S. "James F. Byrnes and the Politics of Segregation." Historian 56 (Summer 1994): 645-54. Robertson, David. Sly and Able: A Political Biography of James F. Byrnes. New York: W.W. Norton Co., 1994. U.S. Congress. 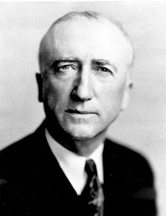 Memorial Addresses and Other Tributes in the Congress of the United States on the Life and Contributions of James F. Byrnes. 92d Cong., 2d sess., 1972. Washington: Government Printing Office, 1972.